Please send Courtney your feedback on the inquiry projects in social studies and writing (elementary) and for GLEs and RSPs (secondary) to help prepare for any adjustments to be made to the projects over the summer. She will be meeting with the supervisors for those areas on Monday May 21st. Feedback prior to that date would be much appreciated. If you need to get it in after that, totally fine! Thank you. One of my favorite things about being in a connected world is the ability to connect all of the amazing authors, illustrators, experts and more to our young people around the world. In my library, we Skyped several times each week and it brought so much to our students, teachers and community. 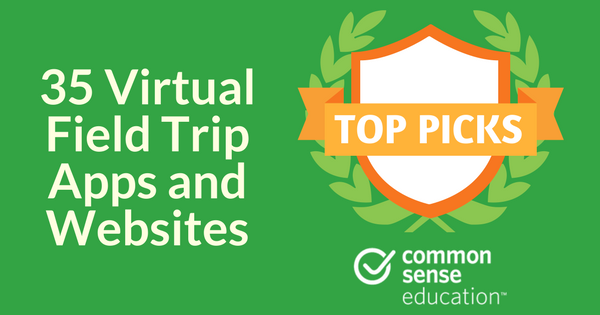 When you are looking for these connections for your own library and school, there are many different places you can start. 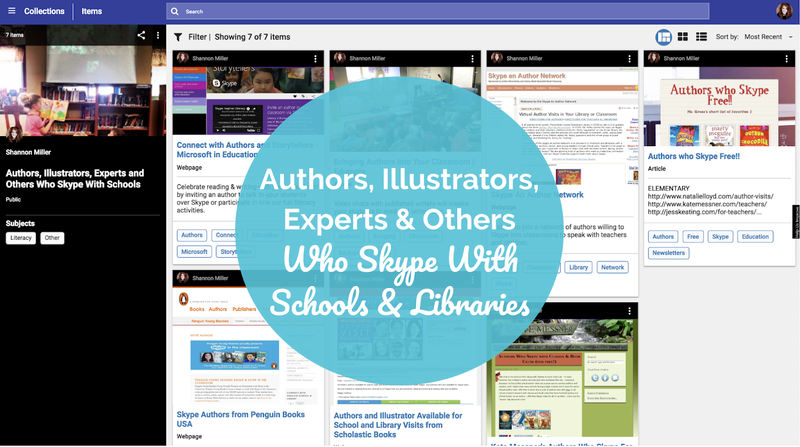 There is Skype in the Classroom, Kate Messner's amazing list and publisher sites. I have put these together in this special Collection by Destiny that you will find here. Let me know what else we can add....and if you would like to collaborate on this Collection, I would love to have you join me. I will keep adding and updating this Collection too. And don't forget, author, illustrators, experts and others are on social media to connect with all of us. If you have someone you and your students are wanting to connect with, reach out and ask. That is always one of the best ways....and they love connecting with all of us too. As we get ready for summer break, PebbleGo should we be at the top of your list to share with students and families as we encourage learning and reading all summer long. It is something they have online at home, on-the-go and as they travel. As you know, the learning and reading never stop with PebbleGo! 1. Create a Let's Learn & Read With PebbleGo Summer Calendar to share with your students and families. 2. 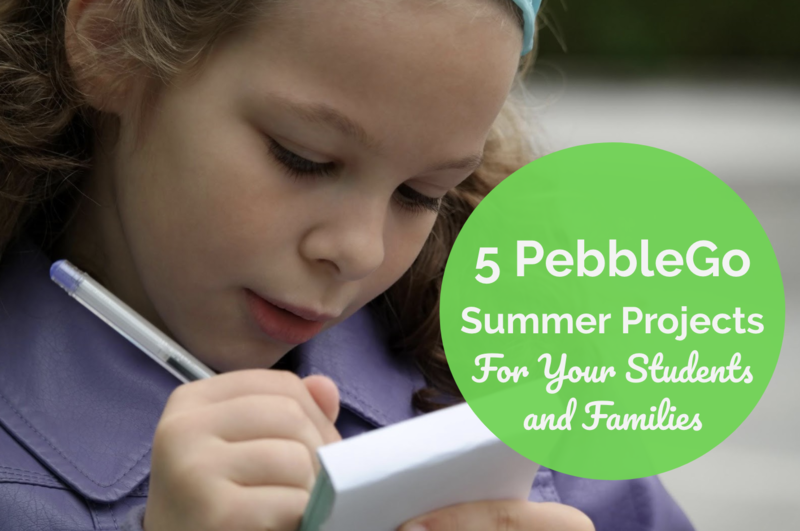 Host a PebbleGo Summer Passion Project Program in your library or school. 3. Where WIll You Go? With PebbleGo and PebbleGo Next! 5. Pair Up PebbleGo With Capstone Interactive FREE This Summer! Another great idea for lame duck days or sponge activities. Or, a great way to visit places you wouldn't normally be able to see. 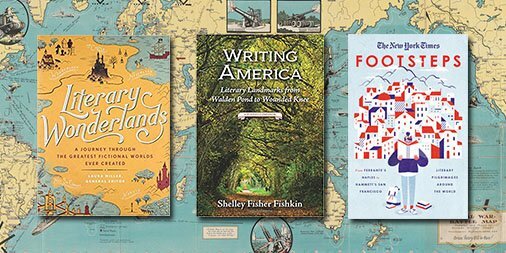 Follow your favorite authors or characters to places real or imagined through the trips in these books. The next session of Gale Courses begins next Wed, May 16! Browse all the 6-week online courses you can enroll in for FREE with your #OPLcard at http://ow.ly/eHTL30jVNM6 and sign up for any you're interested in today!